Danila Tkachenko's award-winning series Restricted Areas goes on show at Berlin's Kehrer Galerie today. 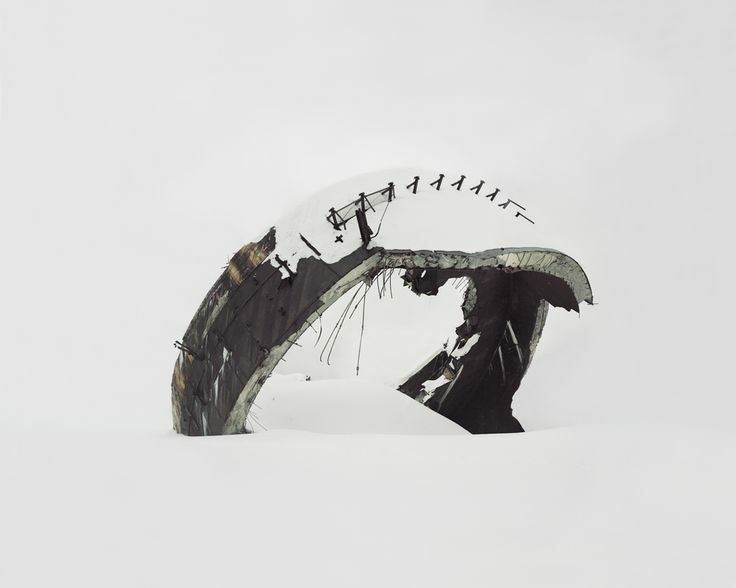 Captured between 2013 and 2015, it features relics of Soviet promise — from the world's largest diesel submarine to a once closed scientific city built for nuclear experimentation — now nothing more than ruin, set again a white background of snow and shrouded in mist. Though a reflection on the failures of the Soviet regime, Restricted Areas is an important reminder of the waste of technological progress mankind is drawn towards. Tkachenko was born in Moscow and studied documentary photography at The Rodchenko Moscow School of Photography and Multimedia. His interests revolve around forgotten objects and people. In 2014 he won the World Press Photo with Escape, a series about individuals who have withdrawn from society to live in the Russian and Ukrainian wilderness. The artist will be signing copies of the book Restricted Areas at the opening this evening from 7-9pm, after which the exhibition will be open to the public until 18 June.